If you drink two glasses of water before one or two meals a day, can it help you to lose weight faster? One small study by the University of Birminghamindicates this is true, so start drinking water right away! Let us look at what that study shows and what other studies reveal. It could save you a lot of time, effort, and money when trying to stick to a rigid schedule of dieting and exercising. About 80 obese adults in their fifties were selected for the three month study. The method used was to give all participants advice on how they might lose weight and how to go about it using diet and exercise. Then, half the group were asked to preload (drink about a pint or two glasses of water) before one or two meals a day. They were also checked to see if they were really doing so by regularly measuring their urine output! The other half group were just told to imagine they were full before they sat down to eat. The results showed that both groups lost weight. But those who were drinking water before all meals had reduced their weight by 4.3kg (9.48 lbs) over the 12 weeks. They also lost 2.7 pounds more than the “full stomach thinkers”, who, interestingly enough were working out and exercising more than their water-drinking colleagues. The water drinkers were eating less which probably helped them a lot. More studies need to be done with larger and more diverse ethnic groups and ages. What else does water do to help you lose weight? 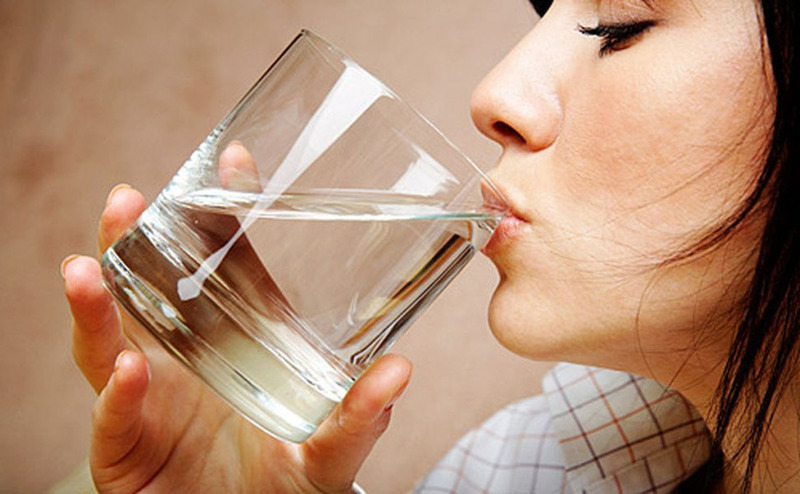 Water will make you feel fuller even before you sit down to eat so it really is a great appetite suppressant. There is also another mechanism at work where the more water you drink, the less you will retain as extra weight. It also helps you to boost your metabolism. That will help you drop a few more extra pounds over a long period. If you feel dehydrated when you drink only a little water, the body goes into panic mode thinking you need food. You only need water but most people start to eat to stave off the unpleasant effects of dehydration. I cannot really drink ice cold water so if I do the experiment, I am going to have it at room temperature. But some experts tell us that if you drink ice cold water, it actually helps you to burn more calories. Why? Well, the body has to work harder to warm the water up and that means you are using up more calories when you do that. Why do some people go on eating even after they feel full? Another research study at the UT Southwestern University was done to show that some people go on eating, even though they feel full. This is obviously a barrier to losing weight. It seems that some people can get up from the table feeling not quite full, while others just go on eating till they are bursting! Researchers at UT were working on mice but they believe that there is a hunger hormone shared by human beings and mice which is known asghrelin. This seems to go into overdrive when we get pleasure from food. Mice were chosen for the initial study because both humans and mice share a similar brain-cell connection system as well as hormones. Drinking water before meals is the cheapest and easiest dietary aid on record. Water has lots of other benefits too, such as brighter skin and better focus and concentration. If you are tempted to have a nice gin and tonic before dinner, why not opt for a double H²0 on the rocks instead?